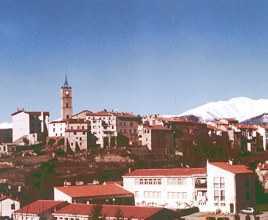 It is an attractive and typical Catalan with a gorgeous riverside setting and views of the snow capped mount Canigou facing south towards Spain which is only minutes away. It has a fascinating history and is rich in Catalan culture and traditions of which are celebrated throughout the year and punctuated by fêtes, foires and communal meals, all accompanied by music and dancing, in particular La Sardane - the Catalan dance of freedom depicted by Picasso - we love it and the Catalan language (which my son and I are learning) . There certainly are opportunities to get a real taste of local culture and the people are very friendly . 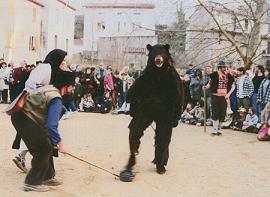 The unique Bear Fête is celebrated here over several days; the Sardane and generally join in all the many festivities and get a real taste of local culture. The distinctive Catalan fabric and Espadrilles are still made here and one can visit the quaint factory and buy the products. 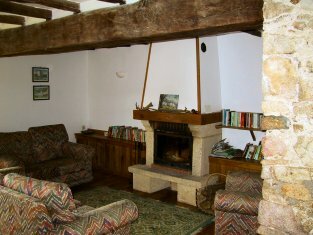 Other local crafts include basket making and ceramics.